Tea cupping is a process of tasting and evaluating the quality of loose leaf tea. It is a combination of art and science that is used by tea lovers throughout the world to maintain tea quality and tea drinking satisfaction. Even tea from the same shipment, tea garden and processing batch can differ in taste. Tea cupping is an ideal way to ensure quality control and consistent taste. In addition, for many tea drinkers, the knowledge that a tea supplier properly cups its tea adds to the tea drinking experience. The term cupping is used to describe the examination and tasting of different teas to determine quality, taste, aroma, briskness, body and color. Cupping similar teas and comparing them against each other enables one to determine best value when making a purchase. Before the tea is tasted however, a physical inspection of the leaves is performed and attention to the bouquet of the sample is also part of the process. In essence, proper cupping is based on an understanding of the total presentation of the tea leaf. First, examine the dried leaf. Black tea for example, should be dark (blackish-brown) and well twisted, which indicates good withering. An open, flat leaf infuses quickly; a closely twisted leaf takes longer to infuse and will give a better second cup. In general, the leaf should be small, hard, well rolled, and uniform in appearance. Following the preliminary tea cupping steps, the tea is ready for the tasting part of the process. Generally speaking, the same care involved with the examination of the unsteeped tea leaves must be maintained during the steeping process. Purified, oxygenated water is best when preparing tea for tasting. Use water that has all minerals and other contaminants removed and oxygen added to ensure a fresh clean taste. Remove contaminants because even fresh, clean water contains minerals that affect the taste of tea. Fill a kettle with water and bring to a boil. Tea is measured per cup by weight not volume. Depending on the size of the tea and the extent of processing, teas of equal weight may vary in volume. To prepare for tea cupping, pour two grams into a six to eight ounce cup and pour the fresh boiling water directly onto the leaves. The steeping process, which releases the flavor from the tea leaves, has a certain time limit. After five minutes of steeping, the acids in the leaf begin to steep into the cup creating a bitter taste. Dark – low-grade common tea. A green tea that has a clear green-yellow of green-golden color in a weak infusion is a young, early picked leaf. A dull, lifeless dark yellow color denotes old or low-grade tea. The lighter the liquor, the younger the leaf is and the better the brew will taste. Smell the weak infusion to get some indication of the character of the tea and to detect possible burning during firing. These suggestions for tea cupping are broad guidelines. No one method is considered the only way to taste and cup teas. Experiment, with other types of teas with different amounts and different steeping times. The most important part of tea cupping is consistency. If there is one thing that is certain, it is that teas will change flavor when you change the brewing method and times. The final step in tea cupping is to taste the flavor of the tea infusion, and described it in one of three ways. The first is the briskness, the second is the body, and the third is the aroma. After cupping a number of tea samples you will learn a great deal about tea and tea quality. Tea cupping is an ongoing process that pays dividends if you enjoy high quality tea. 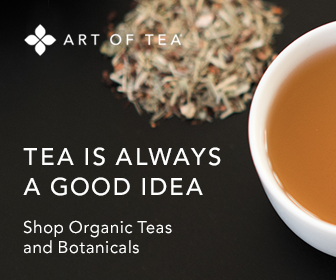 Always try to purchase tea from a supplier that cups every shipment of tea. This article was written by Jon M. Stout, chairman of the Golden Moon Tea Company.